A pair of red ankle boots with metal toe caps completed Olivia Wilde's outfit. 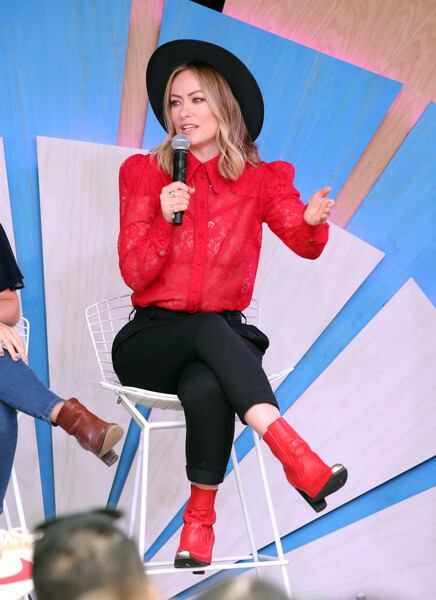 Olivia Wilde was at #TwitterHouse during SXSW wearing a red lace button-down shirt by Magda Butrym. Olivia Wilde paired her blouse with black slacks.